There is no denying the fact that video editing isn’t a child’s play. You can invest hours altogether in shooting a video, but if you cannot edit it properly, every bit of effort goes into vain. Over a period of time, PCs and laptops have evolved considerably. Today, if you step out in the market to find the best laptop for video editing under 1000 dollars, you wouldn’t face a dearth of options. Whether you want to edit a 4K video or an 8K, you’ll require specific configurations into them, including storage, processor, memory, and much more. Video editing requires a powerful processor with a good display card. Our earlier review of top 10 laptops under 300 dollars have very less hardware configuration which is suitable for normal computing activities only, not for video editing. If you are a computer game lover also want to do video editing, then these gaming laptops will do both jobs. So, facilitating this process for you here is the collection of best laptops for video editing under that can help you get the job done with ease. Processor – i9 is recommended but i7 is good enough. RAM – At least 8GB. More than that will speed up your work. Hard Drive – 500 GB enough for video editing. More than that will help you to store more. Display – At least 15″ needed. 15.6″ is perfect for video editing. Don’t go more than that, if you plan to carry your laptop very often somewhere. Graphics coprocessor – Personally I recommend NVIDIA GeForce. But there are a lot more graphics coprocessors. Weight – Not the big issue for video editing. But personally I recommend, Don’t go for more weight, if you need to carry your laptop more often. HP Envy entered the market and took it with a storm. Being the thinnest laptop, it has its own perks. Talking about its design, it adds some personal touch to its silver color, which is the primary reason of Envy 13 standing apart from the rest. Its deck is complete aluminum with silver keys that complement its aesthetics. It is surely slim laptop that you can fit it in a narrow area. When it comes to features, it is integrated with everything effective, including the fair port selection. 13.3-inches diagonal QHD IPS BrightView WLED backlit with 3200 x 1800 resolution. In the category of best laptops for video editing, Dell has surely nailed the competition with this amazing machine. Although there are lesser compromises, those can be overlooked, thanks to its features. The overall design of this laptop gives an impression of a high-end machine. And hence, it is attractive enough to make you fall for it. The interiors of this machine are as glittering as its exteriors. Furthermore, this machine has been equipped with several advanced features that serve all your other purpose as well. Although the laptop is an ace in the gamin domain, it is even considered the best laptop for rendering. Out of all the factors that this laptop has, its light weight and thin body design make it an appealing and a super-hit choice. 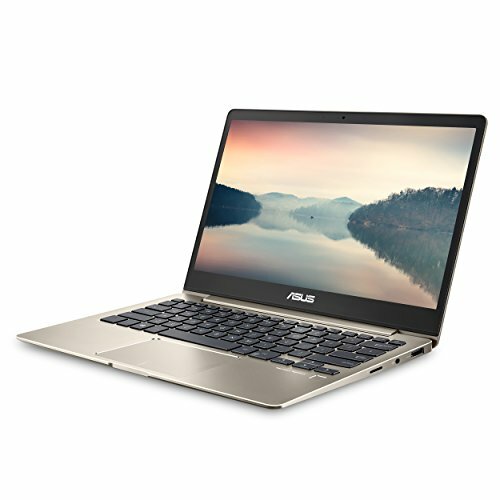 If you are looking for a thin laptop, you should definitely consider this one. Similar to its predecessors, this model uses the same case, but in a thinner frame. The entire body is mostly made with matte black plastic, and on the rear, it has a thin red accent. Who doesn’t want to own a laptop that is not only packed with significant components but is also light in weight? That’s one of the great feelings, isn’t it? So, here is the one that you might be in search of. Packed with the latest Intel Core i5 processor, this one is the best laptop for video editing under 1000 Dollars in 2019. Along with other powerful features, Asus has even provided several connectivity options, such as USB Type C and HDMI ports as well as Wi-Fi & Micro SD card reader connectivity options. When thinking to purchase the best laptop for 4K video editing, you can surely count upon Lenovo Flex. Undoubtedly, this model is one of the biggest convertible notebooks that you can consider buying. Its display can be folded up to 360 degrees. Not just that, but you can even convert it into a tablet. The all-black model has got a modest look. It is elegant as well as stylish. Furthermore, the diamond-cut edges around the touchpad and chassis give it a subtle touch. Although it might be a difficult task, however, you’d want nothing more than the video editing task to be more flexible and versatile, isn’t it? So, for that, you can rely upon Samsung Notebook 9 Pro. Being the best laptop for video editing under $1000, this notebook pro is a 2-in-1 laptop. You can easily switch between keyboard typing and intuitive writing with the Samsung pen. Its touchscreen is quite brilliant as well. Overall, it’s meant to fulfill all your requirements seamlessly. Admittedly, there is a certain standard that Dell sets with every model. And, this one is no exception. Dell XPS 15 is one of the most powerfully packed laptops available out there. Equipped with Intel Core i5 processor, this machine looks exceptionally gorgeous and slim. Its silver aluminum finish gives it an elegant look. When placed in your studio, it definitely wouldn’t look out of the place. If you are finding the best laptop for 4k video editing, look no further. MSI GS65 might be what you’d look for. With tiny and small bezels, this one has got an excellent IPS 144 Hz screen. Not just it boasts about its powerful hardware but also has an excellent keyboard and provides impressive performance. Not just this laptop is thin but is also supported by the high-end graphics card. 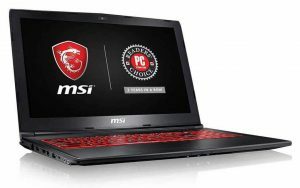 In comparison with previous MSI models, this one has got an upgraded body style. Along with 15.6-inch screen, this model has acquired several other powerful features. You may find a lot of best Windows laptops for Abode Premiere Pro, but it might be a bit difficult to match the level of accuracy that this Microsoft Surface Book 2 provides. Just like its predecessor, this one has got a similar design with a matte silver coat that makes it look elegant and professional. With a powerful processor equipped in this system, Microsoft has made sure that this one gives you the best performance of your life. Apple has always been an epitome of quality and supremacy. And, when it comes to finding a laptop that would make your video edits a seamless job, this one might come handy. Just by adding the Intel Core i9 processor, Apple has made this MacBook Pro one of the dominant systems. On top of everything, this one has even got 6-core and quad-core stimulation, which makes this all the way more amazing. Apple MacBook Pro is undoubtedly on the top of our list of best laptops for video editing. Regardless of how many models you navigate through in search of the best laptops for video editing and rendering, you might still feel confused when there are countless options in front of you. So, keep everything aside, check out these top and best laptops for video editing under $1000 in 2019, have a look at their best features, and buy the one that’d suit your requirements perfectly.